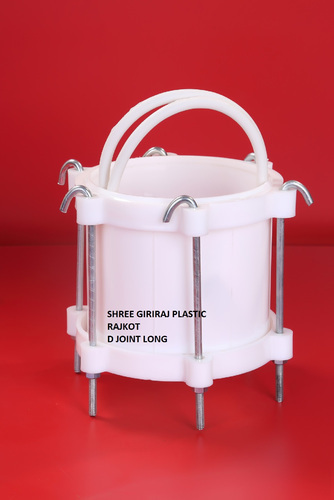 Founded in the year 2012, we “Shree Giriraj Plastic” are a notable and prominent Sole Proprietorship organization which is betrothed in manufacturing a wide range of D Joint, Service Saddle, Repair Saddle, Industrial Valve, Foot Valve, Air Valve, etc. Situated at Rajkot (Gujarat, India), we are supported by a well structural infrastructural unit that assists us in the manufacturing of high quality products as per the industry set standards. Under the headship of our Proprietor “Mr. Sandip Patel”, we have gained a noteworthy position in the national market.